Our weather is more and more weird. Today was the second day with a warm sun and a blue sky. Nights are getting pretty cold, days up to 25 degrees Celsius. 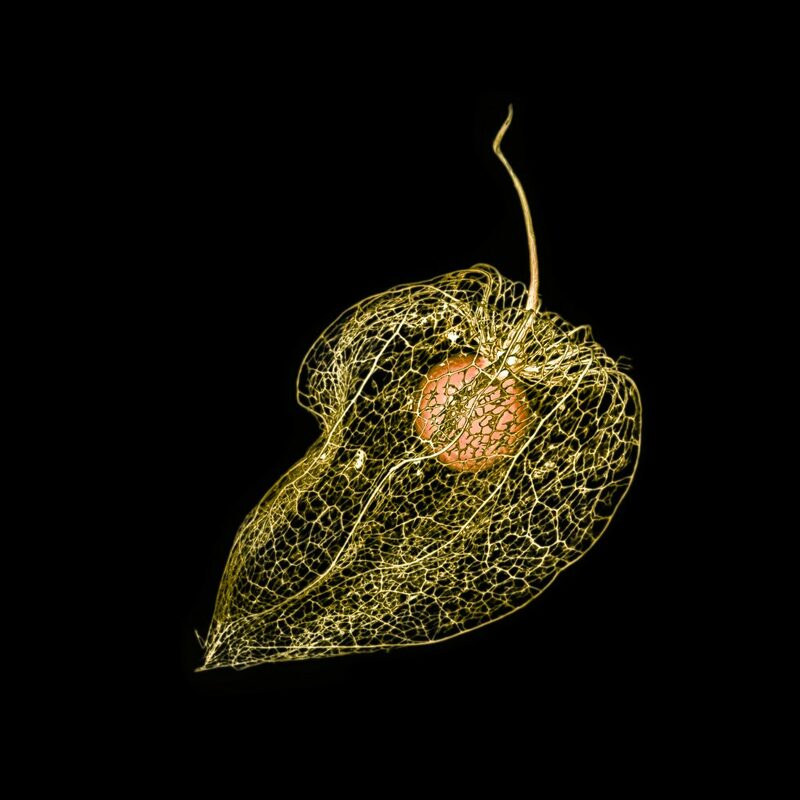 Cleaning up our garden led us to some old physalis which were a little more than a skeleton. In autumn these fruits look like lanterns, now they resemble an X-ray. I did this shot on a lightbox using manual HDR technique.In Lab color mode I obtained this image with a pur black background. It’s an exoskeleton for the fruit inside which remains that way without bruises.